Sabal Ridge is an active adult 55+ luxury oceanfront condominium building. This 17 story building is home to just 31 units. The residences are three bedrooms or six bedrooms for double residences and vary from about 2,750 square feet to 6,000 square feet of living space. There are only two residences per floor and have multiple balconies with views of the ocean, intracoastal waterway, Lake Boca and the Boca Beach Club. Sabal Ridge was built by Arvida Corporation in 1968 but many units that have been exquisitely upgraded to include appointments such as hurricane impact glass, Grecian marble flooring, wood floorings, wet bars, Venetian plaster walls, chandeliers, custom mahogany and wet bars. Washers and dryers are in the units. 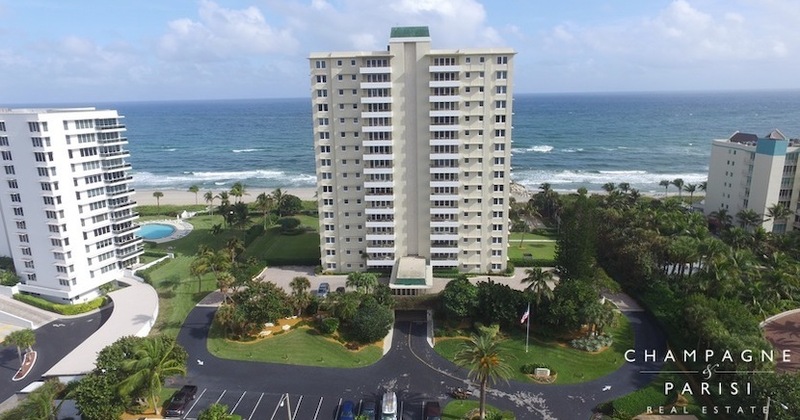 This classic building offers a range of amenities including direct beach access, pool and beachside sundeck, exercise room, elegant lobby, extra storage and under building parking garage. Security includes manned gate, doorman, security patrol and 24 hour lobby attendant. No pets or leasing allowed at Sabal Ridge. Sabal Ridge is located on the east side of A1A south of Palmetto Park Road and north of Camino Real. It is steps away to the Boca Beach Club and next to similar luxury condominium buildings such as Sabal Point and Sabal Shores. Included below are condos for sale in Sabal Ridge, a condo in Boca Raton, FL. These real estate listings are updated daily from the MLS with large photos, maps, local school info and detailed property info.